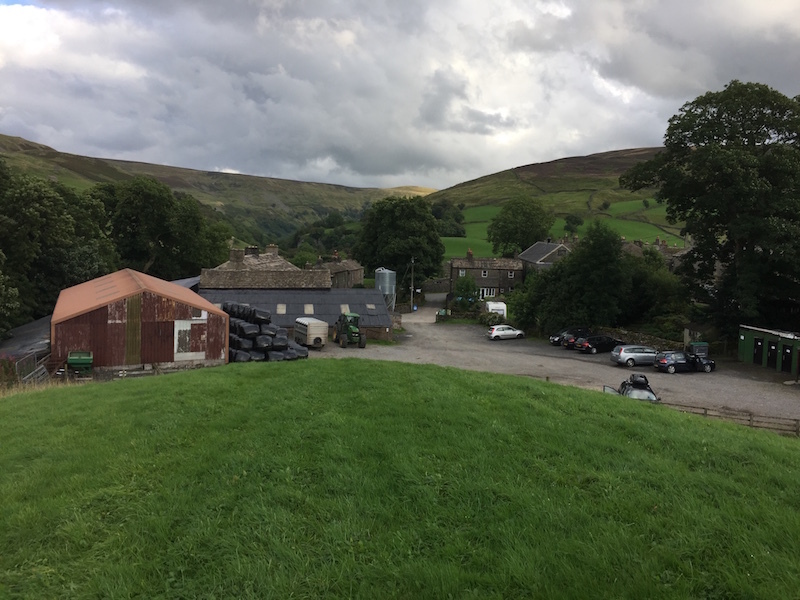 You may not have heard of Keld, in North Yorkshire, but it serves as one of the Nation’s most significant and important crossroads. Go there, though, and you’ll see no roundabouts, traffic lights or service stations. In fact you wouldn’t see much sign of human activity at all. This is because Keld is a tiny village tucked up at the top of Swaledale in the North Yorkshire Dales. It’s significant because it’s the crossing point between the two most important long distance walking trails in northern England. 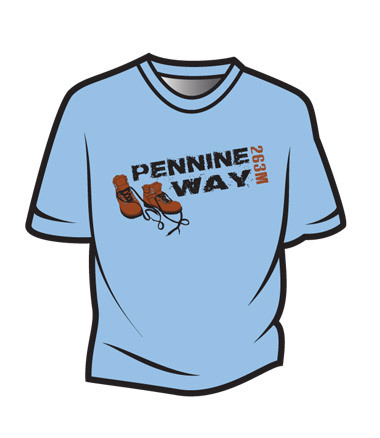 The Pennine Way and the Coast-to-Coast Path. 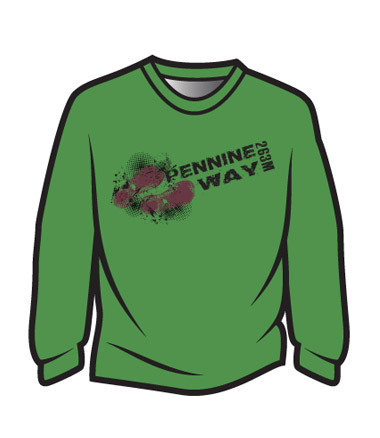 The 260 odd mile Pennine Way is the backbone of northern England from Edale in the Peak District up through the Pennine hills to just over the Scottish border. 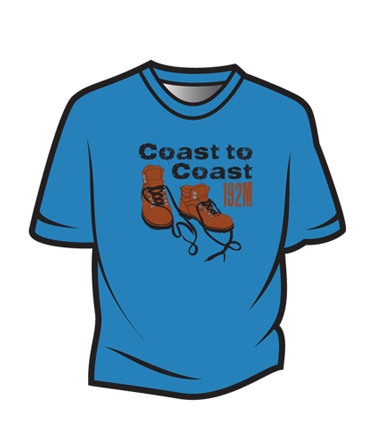 The Coast-to-Coast, on the other hand, crosses the North from St Bees in the West to Robin Hood’s Way in the East, passing through the Lake District, Yorkshire Dales and North York Moors for good measure. 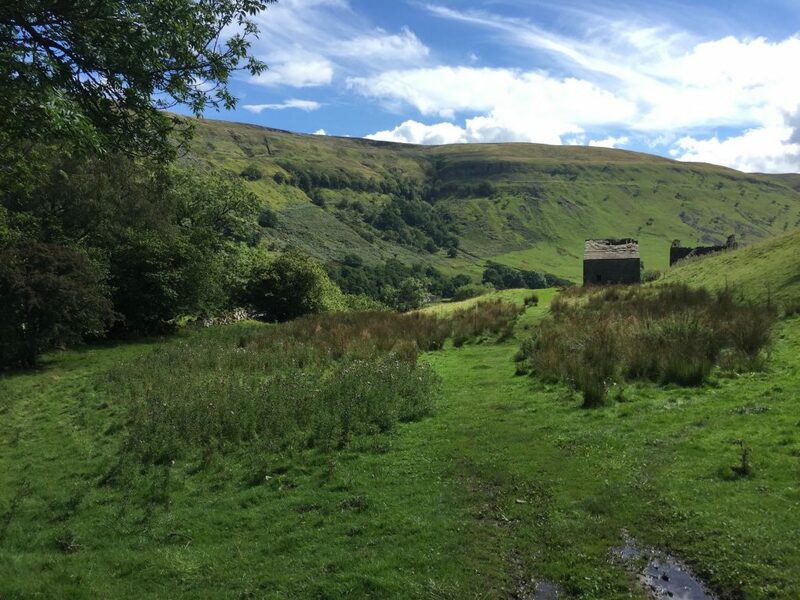 Pennine Way walkers often rest at Keld after a completing a tiring section that starts at Hawes and takes in the impressive Great Shunner (716 metres), Yorkshire’s third highest peak. 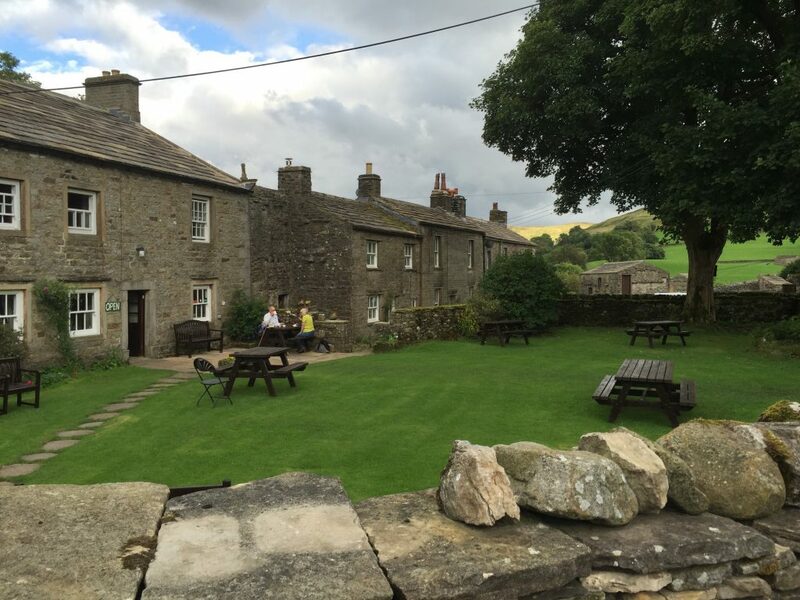 For those following the Coast-to-Coast path, Keld is the mid-way point. It is reached after crossing the Cumbria/Yorkshire border near Harley Fell. 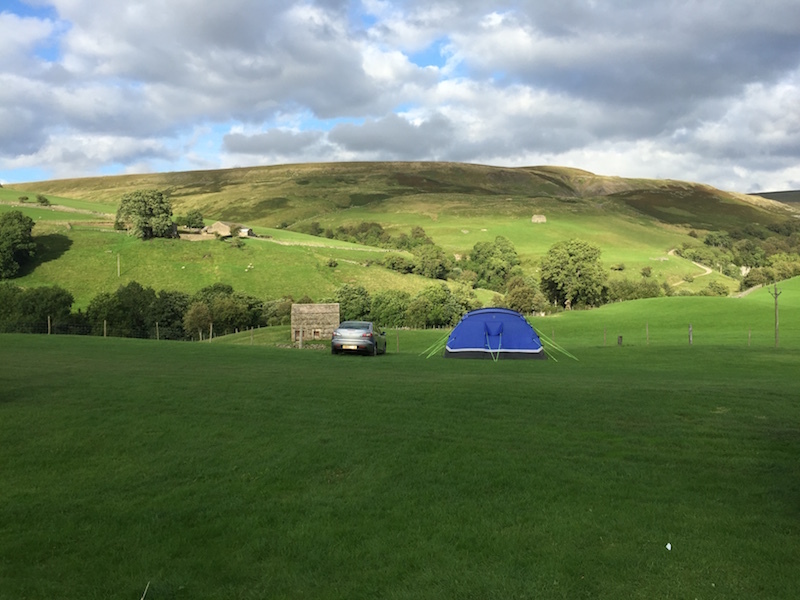 There used to be a youth hostel at Keld, giving walkers on either route the opportunity to eat, sleep and rest. Now there are various places to rest in this pretty, quiet village. 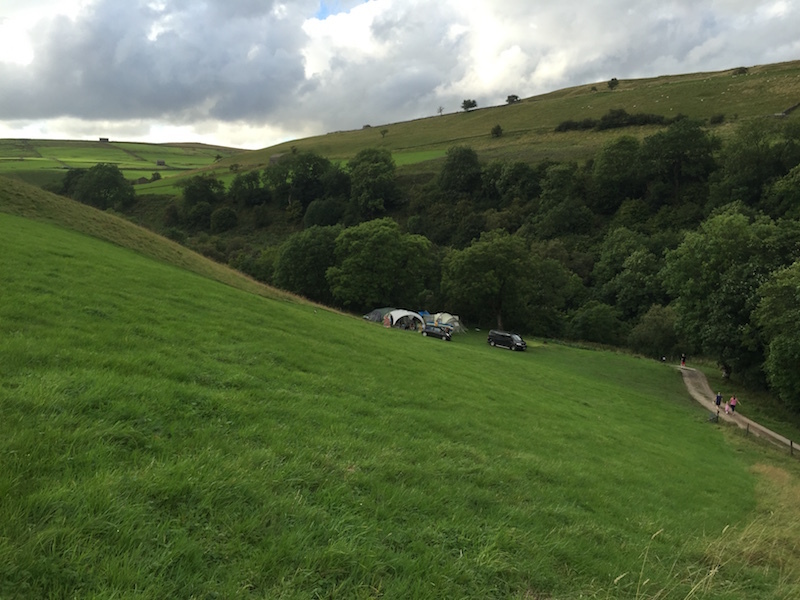 If you are looking to camp you can stay at Ruskin farm campsite. No advanced bookings are possible so a visit to the picturesque farmhouse that serves as reception is needed to secure a pitch. A few basic provisions can be bought there too. Once you’ve paid up you can help yourself to a pitch. 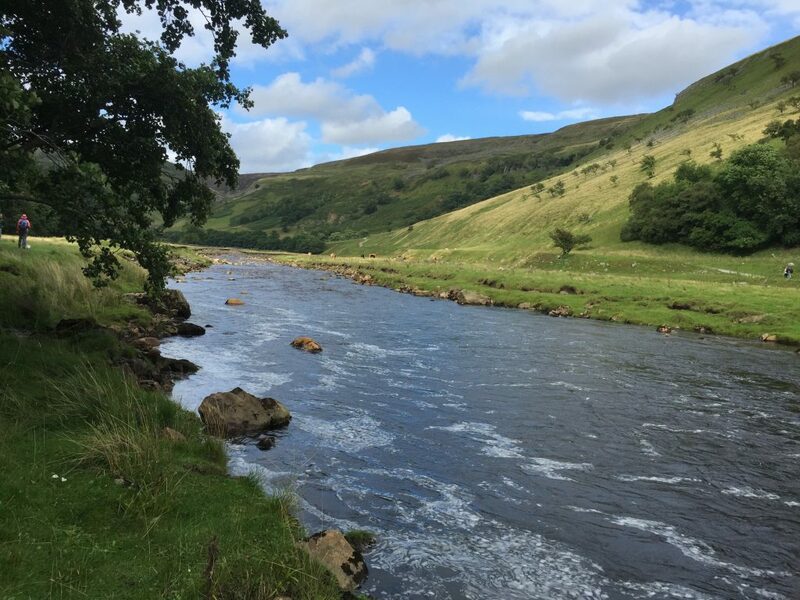 Those right by the flowing waters of the River Swale are popular, but the sound of the running water can be heard rippling away anywhere in the site. Amenities are basic. There are loos and a shower. The fact though that you are allowed open fires (in the grates in left onsite), and the amazingly tranquil location are the two main reasons for staying here. 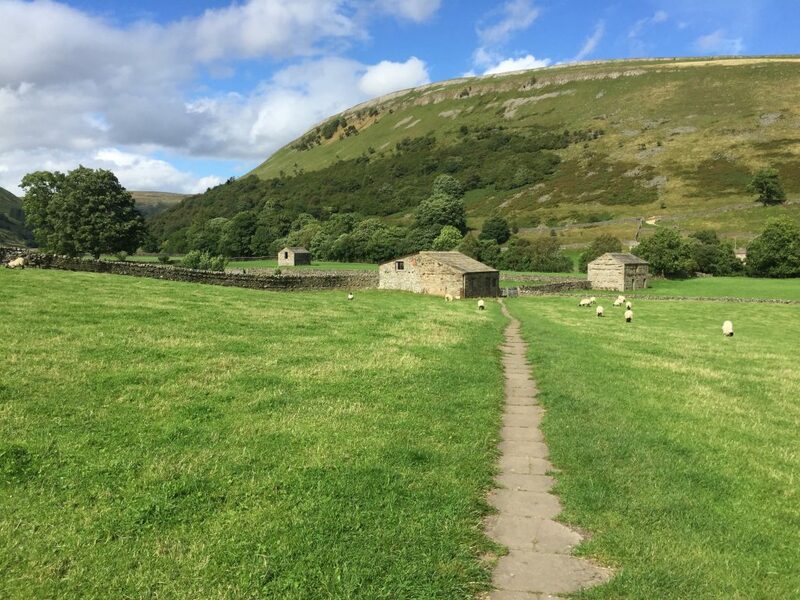 Accompanied by a collection of children of different ages, long distance walking was never on our agenda when we visited Keld. Short distance walks were possible though. 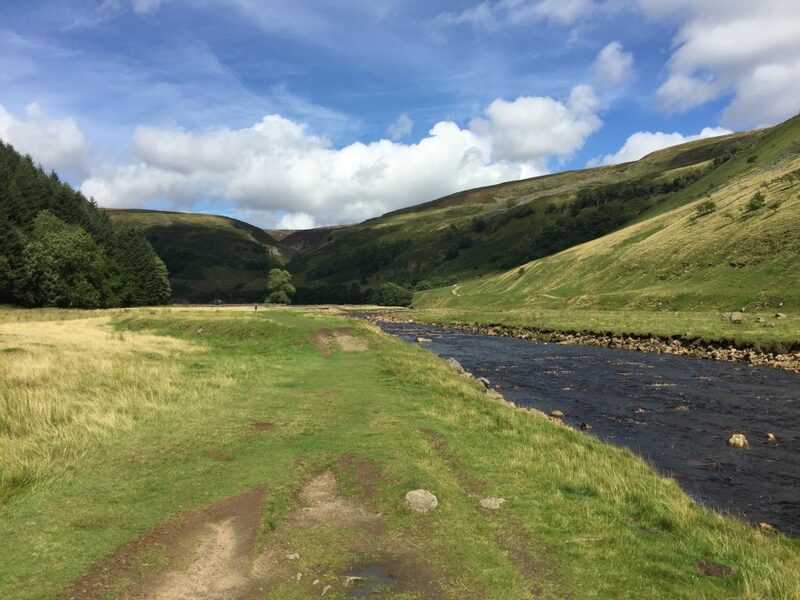 And the short two and half miles walk down the River Swale southwards towards the village of Muker served our needs perfectly. The signposted path never strays far from the River. Slightly wooded at first, it then opens up as you walk through large meadows. The famous black-headed Swaledale sleep are all around you, as your walk leaders through rich stonewalled pastures. 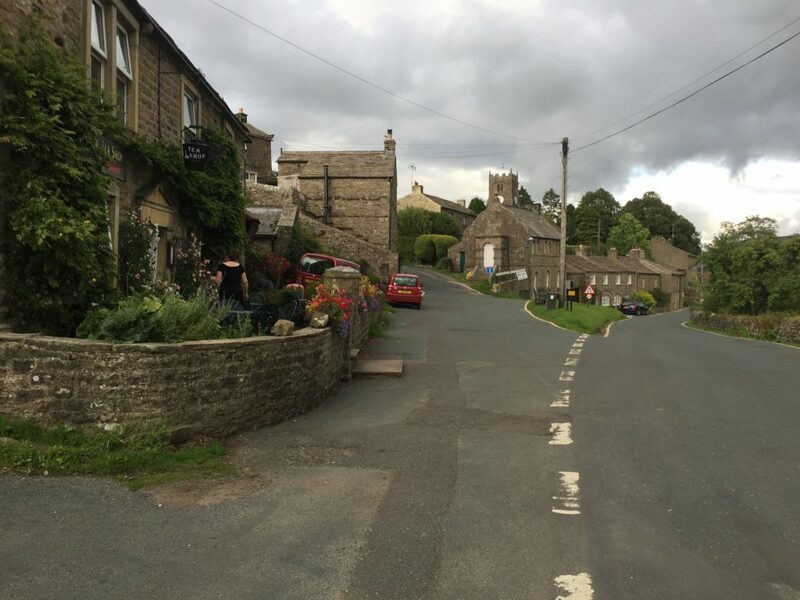 Compared to Keld, there’s a bit more life and activity in Muker. Teashops, a pub and a post office can all be found there. It’s a perfect lunch spot and a chance for a cuppa and a slice of cake, before heading back to Keld. There’s an alternative route back which takes the high ground. We thought about it but decided to amble back the way we came along the River route. Keld – the great crossroad of the North – was soon upon us. It was now late afternoon. Little had changed though. There still was not a soul to be seen. Not far from here is also the highest pub in Britain, the Tan hill Inn. 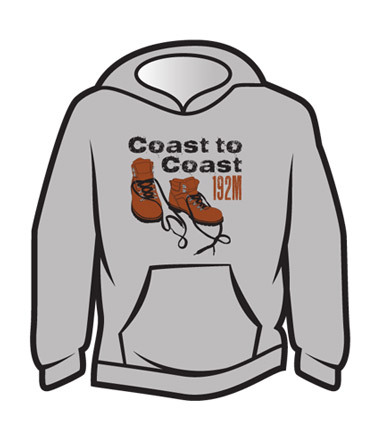 Climb it Range sell a wide variety of T shirts ,sweats and hoodies covering these two long distance iconic walks.